(WILMINGTON, Del., May 1, 2017) – AstraZeneca and its global biologics research and development arm, MedImmune, today announced that the US Food and Drug Administration (FDA) has granted accelerated approval to IMFINZI™ (durvalumab). IMFINZI is indicated for the treatment of patients with locally advanced or metastatic urothelial carcinoma (mUC) who have disease progression during or following platinum-containing chemotherapy, or whose disease has progressed within 12 months of receiving platinum-containing chemotherapy before (neoadjuvant) or after (adjuvant) surgery. IMFINZI is approved under the FDA’s accelerated approval pathway, based on tumor response rate and durability of response. Continued approval for this indication may be contingent upon verification and description of clinical benefit in confirmatory trials. IMFINZI is also under investigation in the Phase III DANUBE trial as first-line treatment in urothelial carcinoma as monotherapy and in combination with tremelimumab. The accelerated FDA approval of IMFINZI, a human monoclonal antibody that blocks PD-L1, is based on data from Study 1108. This Phase I/II trial evaluated the safety and efficacy of IMFINZI in patients with locally advanced or metastatic urothelial carcinoma of the bladder. Patients had progressed while on or after a platinum-containing chemotherapy, including those who progressed within 12 months of receiving therapy in a neoadjuvant or adjuvant setting. In the trial, IMFINZI demonstrated rapid and durable responses, with an objective response rate (ORR) of 17.0% (95% confidence interval [CI]: 11.9; 23.3) in all evaluable patients, regardless of PD-L1 status, and 26.3% (95% CI: 17.8; 36.4) in patients with PD-L1 high-expressing tumors (as determined by the VENTANA PD-L1 (SP263) Assay, Ventana Medical Systems Inc., a member of the Roche Group). PD-L1 high was defined as ≥25% of tumor cells (TC) or tumor-infiltrating immune cells (IC) expressing membrane PD-L1 if ICs involved >1% of the tumor area, or TC≥25% or IC=100% if ICs involved ≤1% of the tumor area. Additionally, approximately 14.3% of all evaluable patients achieved partial response and 2.7% achieved complete response. Of patients who had received only neoadjuvant or adjuvant therapy prior to trial entry, 24% (n=9) responded. Based on a secondary endpoint in this single-arm trial, median time to response was six weeks. Among the total 31 responding patients, 14 patients (45%) had ongoing responses of six months or longer and five patients (16%) had ongoing responses of 12 months or longer. Patients should be monitored for immune-mediated adverse reactions including pneumonitis, hepatitis, colitis, endocrinopathies (including adrenal insufficiency, hypophysitis, or Type 1 diabetes mellitus), nephritis, rash, thrombocytopenic purpura, infection, infusion-related reactions, or embryo-fetal toxicity. Serious adverse reactions occurred in 46% of patients. The most frequent serious adverse reactions (>2%) were acute kidney injury (4.9%), urinary tract infection (4.4%), musculoskeletal pain (4.4%), liver injury (3.3%), general physical health deterioration (3.3%), sepsis, abdominal pain, and pyrexia/tumor associated fever (2.7% each). Eight patients (4.4%) who were treated with IMFINZI experienced Grade 5 adverse events of cardiorespiratory arrest, general physical health deterioration, sepsis, ileus, pneumonitis, or immune-mediated hepatitis. Three additional patients were experiencing infection and disease progression at the time of death. IMFINZI was discontinued for adverse reactions in 3.3% of patients. Clinical trials have demonstrated that patients with PD-L1 high-expressing tumors have a higher likelihood of response through blockade of the PD-1/PD-L1 pathway. PD-L1 expression testing may be a useful tool to help guide physicians in their treatment decisions, but it is not required for use of IMFINZI. AstraZeneca strives to ensure that appropriate patients and their oncologists have access to IMFINZI and relevant support resources. These include educational resources, an Oncology Nurse Educator program and financial assistance programs. Additionally, AstraZeneca has launched Lighthouse, a program that provides support to patients during any immune-mediated adverse events they may encounter during treatment, through medically trained Lighthouse Advocates. The program aims to make patients’ treatment experience as comfortable as possible. Monitor patients for clinical signs and symptoms of immune-mediated pneumonitis, hepatitis, colitis or diarrhea, endocrinopathies, nephritis, rash or dermatitis, and other immune-mediated adverse reactions. Please refer to the full Prescribing Information for important dose management information specific to adverse reactions. In the combined safety database (n=1414), immune-mediated hepatitis occurred in 16 patients (1.1%), including 1 fatal case (<0.1%) and 9 Grade 3 cases (0.6%). Grade 3–4 elevations in ALT occurred in 40/1342 patients (3.0%), AST in 58/1336 patients (4.3%), and total bilirubin in 37/1341 patients (2.8%). In Study 1 (n=182), 1 patient (0.5%) died from immune-mediated hepatitis, and 2 patients (1.1%) experienced immune-mediated hepatitis, including 1 Grade 3 case (0.5%). Monitor patients for abnormal liver tests in each cycle during treatment with IMFINZI. Administer corticosteroids and withhold IMFINZI for Grade 2–3 ALT or AST >3–5X ULN or ≤8X ULN or total bilirubin >1.5–3X ULN or ≤5X ULN. 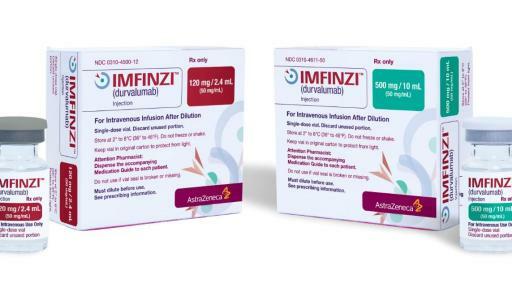 Permanently discontinue IMFINZI in patients with Grade 3 ALT or AST >8X ULN or total bilirubin >5X ULN, or in patients with concurrent ALT or AST >3X ULN and total bilirubin >2X ULN with no other cause. Urothelial bladder cancers arise from the epithelium of the bladder and are the sixth most common form of cancer in the US. It is estimated that in 2017, approximately 79,000 Americans will be diagnosed with bladder cancer, and almost 17,000 will die from this disease. Metastatic bladder cancer remains an area of unmet medical need with five-year overall survival rates of approximately 5%. The tumor microenvironment of urothelial carcinoma (UC) significantly impairs lymphocyte function, helping the cancer to evade immune detection by exploiting inhibitory checkpoint pathways, such as PD-L1/PD-1. PD-L1 is widely expressed in tumor and immune cells in UC patients and helps tumors to evade detection from the immune system through binding to the PD-1 receptor on cytotoxic T lymphocytes. 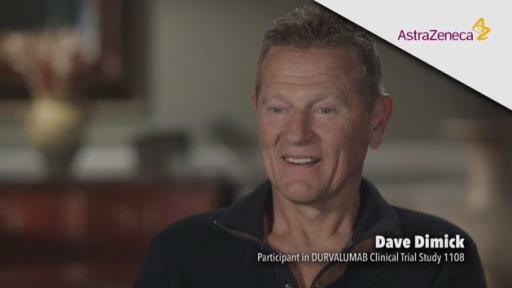 We are pursuing a comprehensive clinical trial program that includes durvalumab (anti-PD-L1) as monotherapy and in combination with tremelimumab (anti-CTLA-4) in multiple tumor types, stages of disease, and lines of therapy, using the PD-L1 biomarker as a decision-making tool to define the best potential treatment path for a patient. In addition, the ability to combine our IO portfolio with small, targeted molecules from across our oncology pipeline, and with those of our research partners, may provide new treatment options across a broad range of tumors. MedImmune is the global biologics research and development arm of AstraZeneca, a global, innovation-driven biopharmaceutical business that focuses on the discovery, development and commercialization of small molecule and biologic prescription medicines. MedImmune is pioneering innovative research and exploring novel pathways across Oncology; Respiratory, Cardiovascular & Metabolic Diseases; and Infection and Vaccines. The MedImmune headquarters is located in Gaithersburg, Md., one of AstraZeneca’s three global R&D centers, with additional sites in Cambridge, UK, and Mountain View, Ca. For more information, please visit www.medimmune.com.